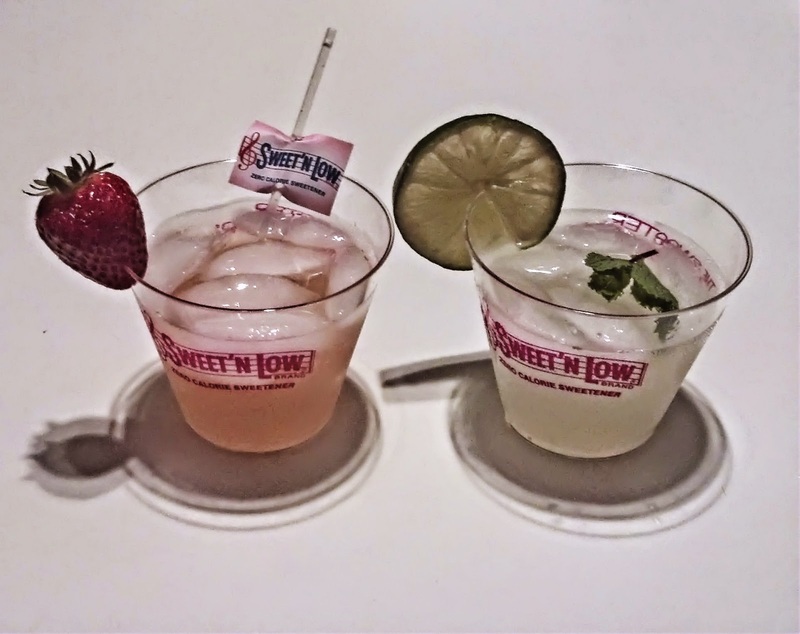 Being a member of Crowdtap's Team Sweet'N Low has its advantages, for sure. 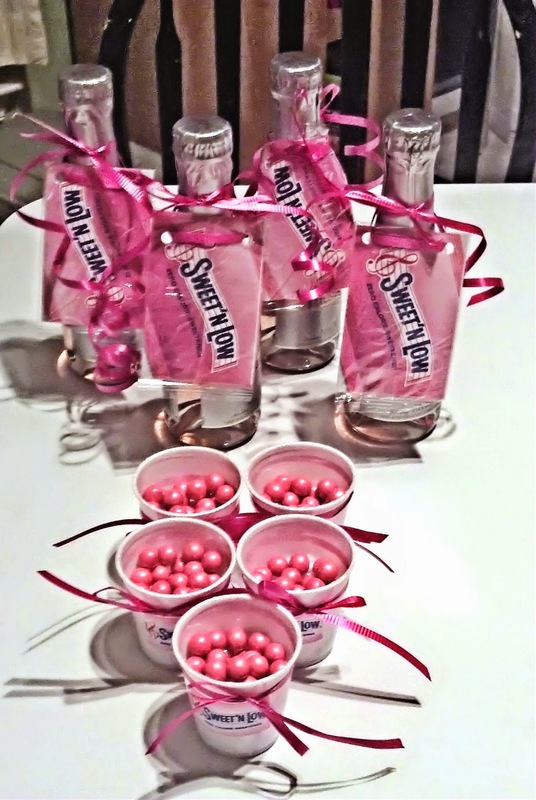 The most current is my getting picked to host an Sweet'N Low Oh-So-Sweet Girls Night party. SO. Much. Pink. 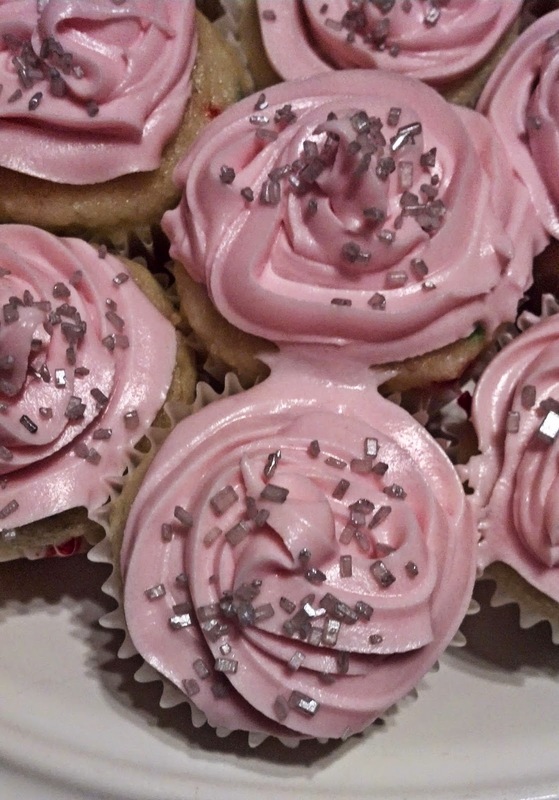 First, I fired up the mini muffin pan, because to me, Girls Night = cupcakes. 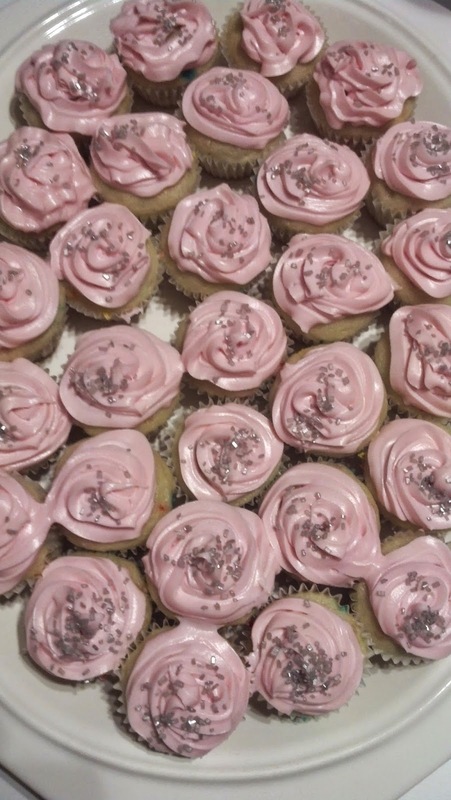 I kept with the pink theme, but added some silver sugar, because bling. Speaking of bling, Girls Night also said to me, "You need swag". My muse chimed in and said, "Pink champagne and chocolate." So I gave in to both voices, and here we go. Pink Champagne single bottles from the store. I used a hole punch and ribbon to attach the sample packs like tags. The nut cups I made myself...they're white plastic bathroom sized cups. 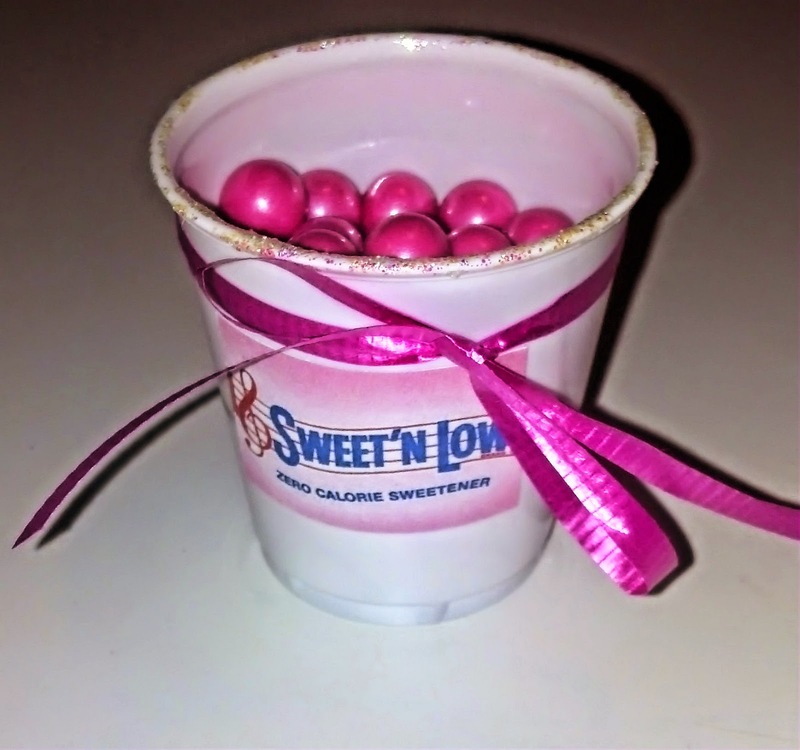 I printed out the Sweet'N Low logo, cut out and glued, tied on a ribbon, and rimmed the tops with a bit of glitter glue. The chocolate pearls I got in the baking section at the grocery store. 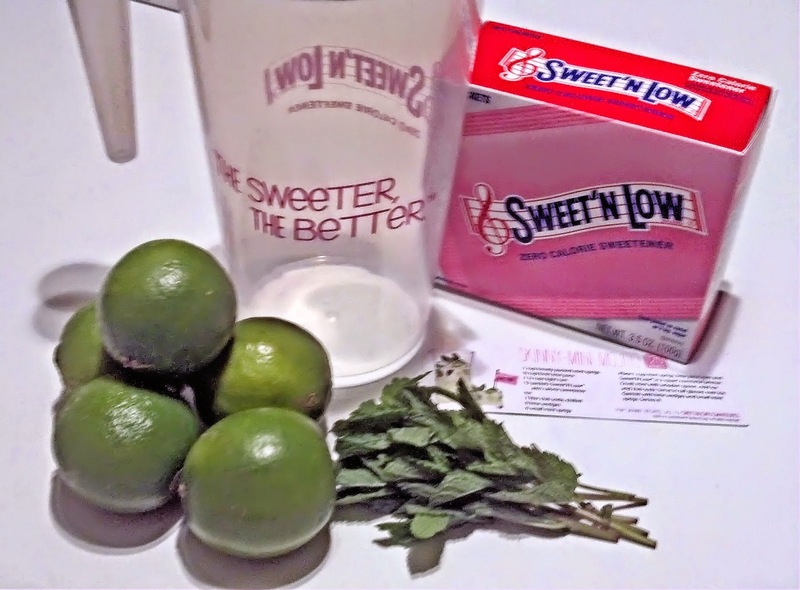 We got the cupcakes, we got the swag, but where's the Sweet'N Low? I'm glad you asked. It's in the other item no Girls Night is complete without. You're looking at the Light and Sassy Party Punch (non-alcoholic on the right, and the Skinny-Mini Mojito (totally alcoholic) on the left. 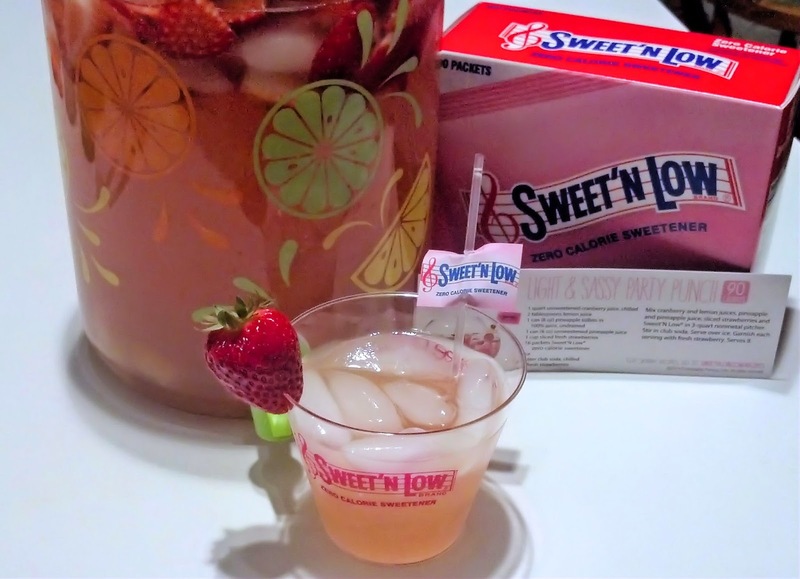 The Party Punch is very fruity and tasty, but not too sweet. As usual, I can't leave a recipe well enough alone and I wanted a paler pink result, so instead of straight cranberry juice, I swapped in White Cranberry Strawberry Lite Juice. Since fresh strawberries are part of the recipe, it really came out delicious...and the right shade of pink. Totally worth it. I really liked the lime/mint combination. We settled in for a night of pedicures and chick flicks, and a great time was had by all. 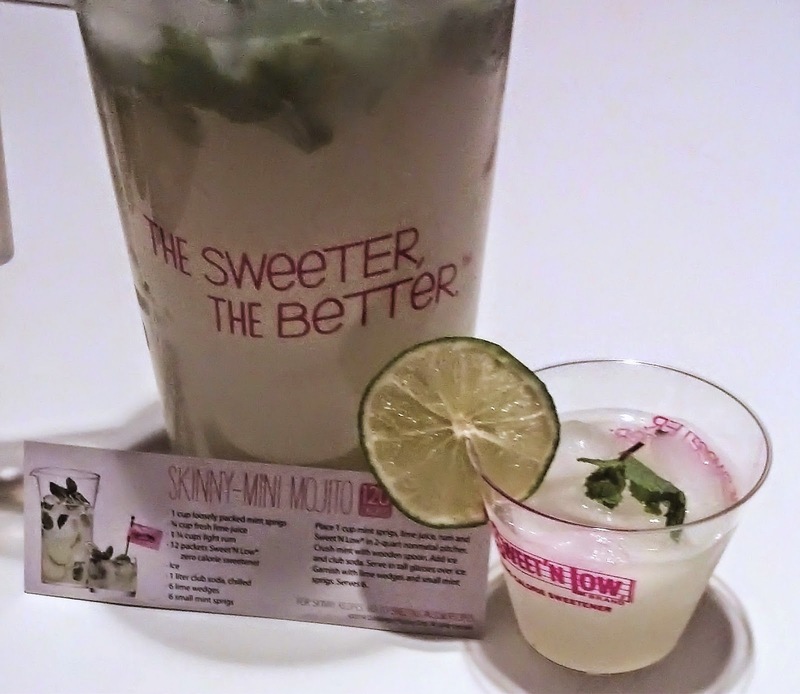 We did need to whip up more Mojitos, but it was a labor of love. Or at least, fun. I received products from Crowdtap for testing and sharing purposes. My opinions are my own.